The holiday season can be tough to face for those who have lost loved ones. It is such a joyous season, but can often feel heavy due to the void one may be feeling when facing that empty seat at the dinner table. At our funeral home, we believe in honoring those who have passed, and expressing our love for them by celebrating them and what they used to enjoy. 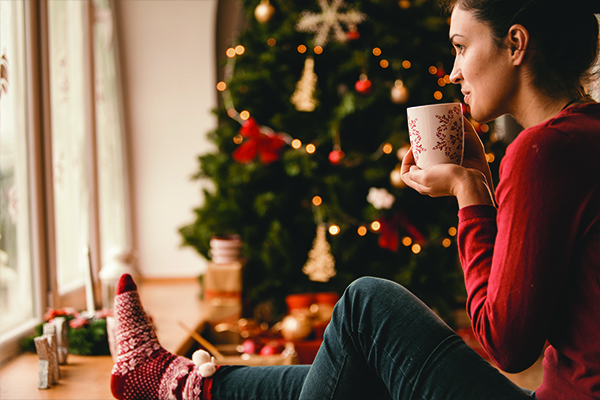 We have gathered ways you can honor your loved one during the holidays while also feeling the joy of the season. Hang up their stocking- Put their stocking up on the mantle just as you’ve always done. This will serve as a way to honor them, and you can even fill it with things they used to enjoy. Christmas ornament on the tree- Perhaps they loved to dance ballet, or were particularly fond of Diet Coke, putting an ornament on the tree in honor of what they used to love will make your Christmas tree that much more special. Bake their favorite dessert- Honor their sweet tooth by baking the favorite dessert they used to enjoy, and serve to your loved ones. Volunteer at their favorite cause- Maybe they were passionate about animals, or were great working with children. Volunteer at your local animal shelter to honor their legacy while also giving back to the community. Decorate a wreath- Honor your loved one by decorating a wreath and including their favorite colors, photos of them, their favorite things, etc. and hang it up in your home or on your front door. Display a memory table- Have a memory table at your holiday celebration where your family can bring special objects that remind them of your loved one. Make a toast- Make a toast at the dinner table, and take turns going around the table sharing special memories of your loved one. Make a donation in their name- Make a donation to a worthy cause in your loved one’s name. This is a sentimental way to keep their memory alive and benefit a good cause. Take a trip to their favorite place- If you are able to, take a trip to your loved one’s favorite place and enjoy some holiday festivities. It can be therapeutic to feel their presence in their favorite place. Donate their coats- If you haven’t already, now would be a good time to donate their coats to people who need them. Find a local shelter or you can donate online through One Warm Coat.